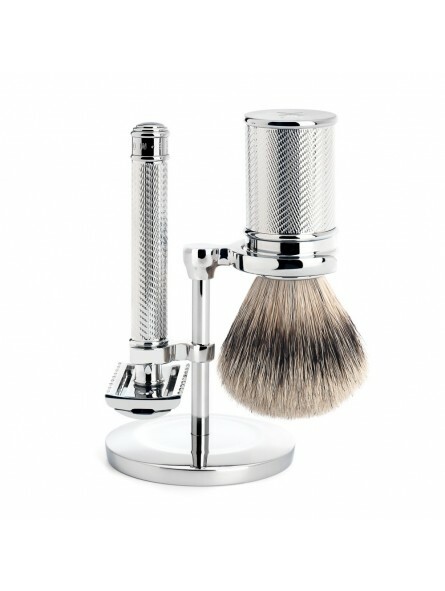 Mühle Traditional Shaving Set Silvertip Shaving Brush & R41 Safety Razor. 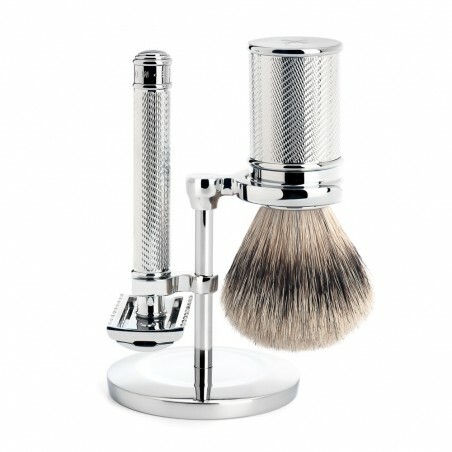 A 3 piece shaving set with handles made of metal with chrome-plated metal materials. R41 Mühle Safety Razor – Open Comb safety razor compatible with classic double edge razor blades. A precise and excellent quality razor made with corrosion-resistant material, very long lasting which has a luxurious alluring lustre.